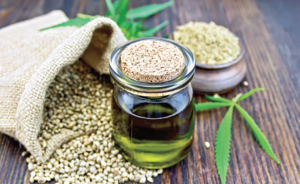 Cannabis Confusion Hemp, Marijuana, CBD and THC Some Personal Reflections - Ultra International B.V.Ultra International B.V.
Over the past few years there has been a substantial increase in the legal use of cannabis products, including cannabis oil, and the market is booming. As with many such markets, there have been problems with adulteration and an overall lack of detailed knowledge about the various cannabis products. The article provides a personal overview of cannabis products from one of the world’s leading experts on essential oils. With the tremendous growth in the cannabis extracts and isolates market, we are seeing many websites, social media pages, and online groups dedicated to them. With that comes rampant misinformation perpetuated by people either lacking education or pushing an agenda. Regardless of the reasons, so much false and conflictinginformation is out there that it is leaving the average consumer confused and sceptical. this is unfortunatebecause these products really do have huge medicinal potential and so I find myself often setting things straight via comments in social media groups, multiple times over, in a never-ending battle against the myths that are becoming more widespread. It is almost like revisiting the essential oil and aromatherapy industries from the1990s all over again. With over 21 years of writings and publications, most people in the essential oils and aromatherapy arena know me by reputation. But I am not only writing this work for my fellow essential oil aficionados, but also for the longtime cannabis enthusiasts. Cannabis is a plant that is made into an extract and my focus has been the analysis and research of hundreds of plant extracts, for the better part of my career. Yes, it’s true that I am known for my work with essential oils, but it’s important to understand that I have been analysing and researching plant extracts of all kinds, produced from a multitude of distillation and extraction methods. For me, cannabis is just another plant, among the many hundreds of extracts I have studied for over two decades. So hopefully the cannabis people will see the value of my background. I do believe I have a unique perspective to offer that really very few in the cannabis world have access to. My first foray into the cannabis realm was in 1997 when I distilled and analysed the essential oil of a high THC cannabis variety (aka Marijuana). I did not publish this work out of fear of having to explain how I obtained the raw material for the research, not something to consider lightly being at Indiana University in the 1990s. For those of you who subscribe to the EOU chemical reference database, you can see the GC report of this 1997 distillation there (https://www.essentialoils.org). I did the distillation out of pure curiosity; I was keen to study what we would find. At that time, there were no reports on the analysis of cannabis essential oil with up to date techniques, the only real reference available on the essential oil composition was that of a 1965 paper which isalso reported in the EOU database. Many people still do not understand that marijuana and hemp are the same plant with the same genus and species, namely either Cannabis sativa or Cannabis indica. Lack of real scientific information related to cannabis and its extracts, and the sudden boom of this industry, there is real confusion, especially among consumers, in the terminology used. This work is simply my attempt to clear some of it up. From my perspective, I absolutely hate the terms marijuana and hemp. Of course, as a scientist I prefer to use scientific terms that are less ambiguous. To me it is all cannabis but we need the proper descriptors to make sure people can understand what we are talking about. Many people still do not understand that marijuana and hemp are the same plant with the same genus and species, namely eitherCannabis sativa or Cannabis indica. For the purpose of this article, I am going to focus only on Cannabis sativa because that is the species that most of the extracts in the UsA seem to be coming from. Very often you will see pages on the internet with headings like “Hemp vs. Cannabis, what’s the difference?” Typically headlines like this are a good indicator that the person publishing does not fundamentally understand the plant science because, well, hemp IS cannabis, the word cannabis is simply the genus of the plant. What they obviously mean to say is “Hemp vs. Marijuana,” at least those traditional descriptors have real, historic differences. So what exactly is the difference between hemp and marijuana? More recently, hemp is defined as genetic strains that are higher in cannabidiol (CBD) and marijuana is defined as the strains that are higher in tetrahydrocannabidiol (THC). CBD and THC are the main cannabinoids (among several) found in cannabis. Still others, more historically, will differentiate between the two products based on the part of the plant and how it’s used. They reserve the term “hemp” to the industrial/commercial use of the cannabis stalk and seed for textiles, foods, papers, body care products, detergents, plastics, and building materials while using the term “marijuana” for the recreational and medicinal use of products derived from the flower and leaves. And yet a third viewpoint seems to consider plants with low cannabinoid content = hemp and plants with high cannabinoid content = cannabis. Obviously, these viewpoints can lead to contradictions because under one definition material with very high CBD would becalled hemp and under the other paradigm the exact same material would be called cannabis. This leads to even more confusion among consumers, and even among people with a long history with cannabis. This is why I am desperately pushing for some consistency and convention among the cannabis community when it comes to terminology. I would love to see the entire community chose a definition and stick with it. Or perhaps the solution is to avoid using the trivial names hemp and marijuana altogether. Let’s face it, it’s all cannabis. My preference is to stop using the trivial names and adopt the chemotype nomenclature from the essential oil industry. For example, there are many chemotypes of basil essential oil, mostly all coming from the same genus and species Ocimum basilicum. Basil oil that is high in linalool is called Basil ct. linalool. Basil oil that is high in methyl chavicol is referred to as Basil ct. methyl chavicol. To me it would be much clearer if, when referring to these extracts, we could simply talk about Cannabis ct. CBD or Cannabis ct. THC. This emphasises that we are talking about the same plant just different strains that produce a different major cannabinoid when extracted. It would beless confusing. While both are very important cannabinoids, they have very different observable effects in the human body. It is unclear at this point, which is more medically valuable, but what is clear is that THC has the added complication (or benefit depending on your perspective) of getting you high. Since CBD does not have the psychoactive effects that THC does, many think it is the more medicinally useful cannabinoid, at least from a practical usage sense. This is because the amount needed to be really potent for treating serious medical conditions such as seizures or chronic pain can be many hundreds of milligrams per day. This dosage level is no problem for CBD, but merely 100 milligrams of pure THC would turn most people into zombies for at least 12 hours, if they didn’t vomit it out from nausea before then. This is not to say that THC is not very medically useful, there is still much work to be done. But at the end of the day, one still has to function. It’s quite likely that some perfect combination of both of these cannabinoids would be of optimal medicinal value. So, it’s impossible to say at this point, which, if either, is more important. There seems to be a lot of contention between the old-school growers of “marijuana” (what I call Cannabis ct. THC) who have turned their once illegal activities into huge cash cow businesses in states like Colorado, and the relative newcomers on the market, focusing on extracts of Cannabis ct. CBD. This contention leads to the spreading of misinformation on both sides because of lack of education aswell as good old-fashioned propaganda based on economic interests of both camps. For example, you will often hear ridiculous claims like, “CBD from hemp is not as high quality as CBD from cannabis.” this statement isfalse on two counts. First CBD from hemp is CBD from cannabis because cannabis is simply the genus of all these plants. Secondly, CBD is a molecule with a specific three-dimensional structure, it knows not from whence it came. It’s only requirement to be CBD is the unique three-dimensional arrangement of its atoms. So, it does not matter what genetic strain produced the CBD. IF IT IS PURE CBD, then it’s going to act EXACTLY the same way in the body, regardless of where it was isolated from. I believe this myth was originally perpetuated for economic reasons and then latched on to by those who set up camp backing the traditional “marijuana growers” to disparage what they view as mere “hemp growers,” seen as a threat to their business. Likewise, the newer producers of Cannabis ct. CBD will many times vilify THC as the “bad cannabinoid” and tout CBD as the “good cannabinoid” and promote CBD as medically important. Other outrageous claims you will see are things like “CBD extracts from hemp are not as good as CBD extracts from cannabis because hempdoes not have the needed terpenes for the entourage effect.” Again, hemp IS cannabis. But to address the claims about the entourage effect, we must first define what that means. The entourage effect in the cannabis world usually refers to the enhanced effectiveness of the cannabinoids offered by the inclusion of the native terpenes of the plant. Some will also state it to more generally refer to the greater effectiveness of using the whole plant extract as opposed to just a single isolated cannabinoid. In the essential oil and aromatherapy world, we would simply call this the synergistic effect; the synergy of all the molecules in the essential oil has a greater effect than just the sum of its individual components. What the cannabis world has largely not figured out yet is that what they refer to as the terpene profile of cannabis is simply the essential oil of cannabis. The essential oil is just the volatile organic fraction of the plant obtained by steam or hydrodistillation. Having been involved in the research of cannabis essential oil, I can assure you that the essential oils of both high THC and high CBD plantscontain all the same components for the most part. Of course, the ratios of the main terpenes found in the various strains of cannabis can vary, but they have the same terpenes in common and there is no evidence, yet, that would suggest that the cannabinoid ratio of the plant affects the essential oil composition. The essential oil is a secondary metabolite and basically determines the odour of the cannabis plant of interest. There are literally hundreds of genetic strains of cannabis and if you spent any time smelling the different strains you know that the odour can be all over the place. But regardless of the odour, the essential oil is typically mainly comprised of three main terpenes, namely myrcene, alpha-humulene, and beta-caryophyllene. Myrcene is a monoterpene, while alpha-humulene and beta-caryophyllene are sesquiterpenes. The variance in odour, regardless of coming from “hemp” or “marijuana” is due to the varying ratios of these components along with the variance in all the other minor terpene and terpenoid components. This can range into the hundreds if you dig deep enough into your analysis. It would be quite likely that you could come across two genetic strains that could have very similar essential oil profiles, smell pretty much the same, and yet one would be higher in CBD and the other higher in THC. If not naturally occurring, then this certainly could be accomplished through selective breeding. Lastly, many companies are talking about the so called “cannabis terpene isolates” and adding them to cannabis extracts to get the desired entourage effect. Sometimes these are terpene fractions from actual CO2 extraction of cannabis. These terpene fractions are often VERY expensive, more often than not; what is being sold on the market are often cheap terpene products that come from other botanicals, or even made synthetically. It is fairly easy for a lab to determine the origin of terpenes by GC/MS analysis. The best thing to use for the entourage effect would simply be the true cannabis essential oil that is obtained by steam distillation of a variety of cannabis strains. It should typically be done on a production scale from low cannabinoid biomass as the steam distillation process is somewhat destructive to the plant material, and would drastically reduce the extraction yield of the highly-valued cannabinoid-containing parts which are saved for other extraction processes like CO2 or butane extractions. In conclusion, when it comes to cannabis extracts, it is critical that every buyer beware. the cannabis industry is relatively new and is booming. Because of this, it is experiencing some of the same problems of large-scale adulteration and outright fraud that the essential oil and mainstream extracts industries experienced decades ago. Do not get me wrong, this still happens to a large degree in the essential oil and related industries as well, but not to the degree as the cannabis industry. here, it is basically the wild west all over again, especially on the terpene front. Because the cannabis industry is so new and, at this point, so isolatedfrom the more mainstream industries as a result of the legal barriers, there is a tremendous lack of scientific expertise and knowledge within the cannabis world. Those of us coming from the analytical end of the flavour, fragrance, and essential oilindustries have been dealing with detection of adulteration our entire careers. therefore, we are perfectly set up to make the crossover into the cannabis world, but, because of the legality issues that many companies do not want to deal with, the crossoveris not really that common, separating the cannabis world and mainstream botanical extracts world. I look forward to a unificationof knowledge from both the cannabis industry as well as the mainstream extracts and essential oil industries, as they really are more related than most people realise. Tennessee and B.A in Chemistry from Indiana University. He has published many articles and has been a continuous source of inspiration and education for the aromatherapy industry for over 20 years.